If you’re a Barbecue aficionado, a wood pellet grill is your surest bet to getting well flavored smoked meat. 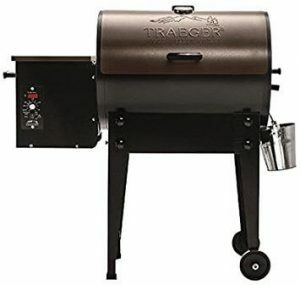 Traeger is a premium grill company that was developed in the 90’s. 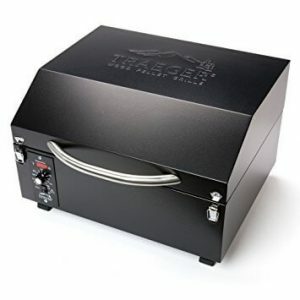 Having years of experience, they have been able to make some of the best grills on the market. Read more about their products in our Traeger guide. Finally, make sure to check out the NFPA.org tips on grilling safely in your backyard. Safety is always first! 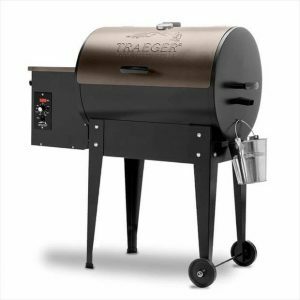 The Traeger pellet grill gives you the luxury of utilizing wood fuel for cooking in a convenient grill setting. But with all the convenience of such a grill, you need to understand how it works. Even though it is easy enough to assemble straight out of the box, it’s still important to be mindful of safety. We want this grilling machine to last a lifetime, and we also want to make sure you don’t electrocute or burn yourself. Cooking with it may take a little of getting used to considering all the preparation required. However, once you learn all the intermediary steps to firing up the Traeger, you’ll soon realize that it’s as easy as mastering a bike. If you’ve recently purchased the Traeger equipment, you probably don’t have any idea of how to work it. 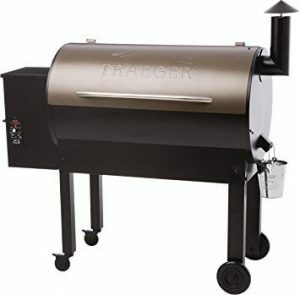 To help take out the guesswork out of cooking on here is how to start Traeger grill. After buying your first Traeger grill, the chances are that you’ll have to assemble it yourself. Lucky for you, we’re here to help. 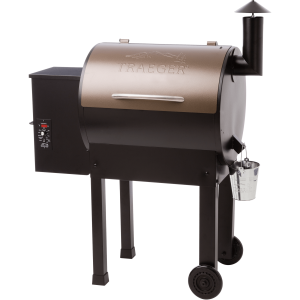 For most of the Traeger models, Assembling involves putting together the grill body, lower cabinet, flue pipe, grease drain pipe, grease bucket, chimney cap, heat baffle and grill grates. You might want to use the Traeger grill manual for a little assistance on this step. Since every model is unique, follow the assembling instructions outlined in the manual. Surprisingly enough, unlike the other traditional wood-burning grills, all Traeger grill models require electrical power to run the wood pellet auger, igniter rod, internal thermostat, and fan. When not in use, always ensure that you unplug it to avoid turning it on accidentally. Just like peanut butter and jelly, you need specially designed Traeger wood pellets to work the Traeger equipment. They usually come in different flavors. Choose a wood pellet that suits your taste buds. Such flavors include oak, apple, hickory, cherry, maple, pecan, mesquite, and alder. Using the Traeger pellets is crucial, it will promote safety while increasing the longevity of your Traeger grill. This is the long metal placed on the left side of the grill’s body. Before starting up, clean the RTD temperature probe from any dirt or grease that may result in incorrect functioning. When you use it while dirty, it may lead to unwanted heat fluctuations. When you are ready to start cooking, open up the grill lid. On the unit control panel, switch on the power button. Don’t put any meat in yet; it needs it needs to preheat first. On the same grill panel, look for a small temperature knob. Adjust the knob up to the smoke setting. If your Traeger grill doesn’t have the smoke option, don’t worry, just set the temperature between 71 degrees to 93 degrees. For efficient preheating, most Traeger equipment requires 4- 5 minutes. When your grill model comes with an advanced grill logic option, the time may be less than that. Within this period, keep a close watch to ensure that it is starting up properly. In case of any technical issues, you can try and figure out which step you’ve skipped. If you have a brand new unit, extend the preheating time by 2-3 mins. This will give your Traeger grill efficient time to move all the wood pellets to the firing box. When the grill completes preheating, you’ll hear an immediate roaring from the main unit body. Don’t worry; this is a good sign. The sound resembles the roaring of an engine. Close the Traeger grill lid when you hear the roaring to pack in the smoke and heat. If your grill hasn’t started roaring or heating up, check the auger, fan or grill hotrod. There might be a problem with one of the following components. The grill hotrod is located at the bottom of the grill grate. You can identify the auger and grill fan below the hopper. Check if there is any dirt or debris that might be clogging them up. If there is, clean it out and start running it out again. Is it still not working? 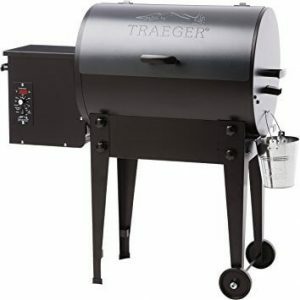 You can contact the Traeger support for more help. After preheating the grill, you are now free to adjust the temperature rod by your cooking requirements. Before you place any food in, check the Traeger grill heat gauge to see if the general chamber is hot for cooking. After cooking, take off all the food from the grill. When you leave some particles in it can result in an unwanted build-up of rust and grime. You’ll have to clean them off for storage. To avoid any form of build up, brush off all the food particles before you shut down. If any other food particles remain on the grill grates, you can clean them off after it cools down. If you’re still on the fence about buying the Traeger grill, it’s time to make that leap! It’s a fantastic cooking machine that belongs to any serious cook, meat lover or BBQ Dads in America. 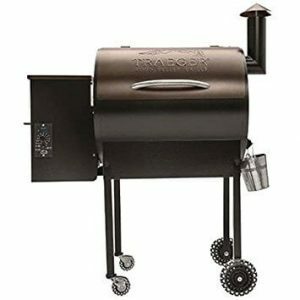 For choosing which product line is best for your needs, check out our product reviews which goes in great detail about the different types of Traeger grills that are available for sale. Also, check out our informative section for Traeger recipes and general how-to guides on cleaning your Traeger grill and of course, how to start one. 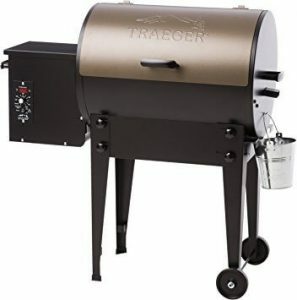 The Traeger grill is easy to setup, and that’s why most people order online. It comes it a nice package and can be assembled easily, using the manual or by looking at the numerous unboxing videos on Youtube. Indeed, the Traeger grilling machine will look great in any backyard. Choose the wood pellet of your choice. Follow the steps in this guide on how to start a Traeger grill. Then you’ll off and grilling like champion BBQ pitmaster. Remember, safety is always first when it comes to grilling. Enjoy the barbecues!